Last night I knocked another item off my bucket list, and that was to help style my first fashion show! 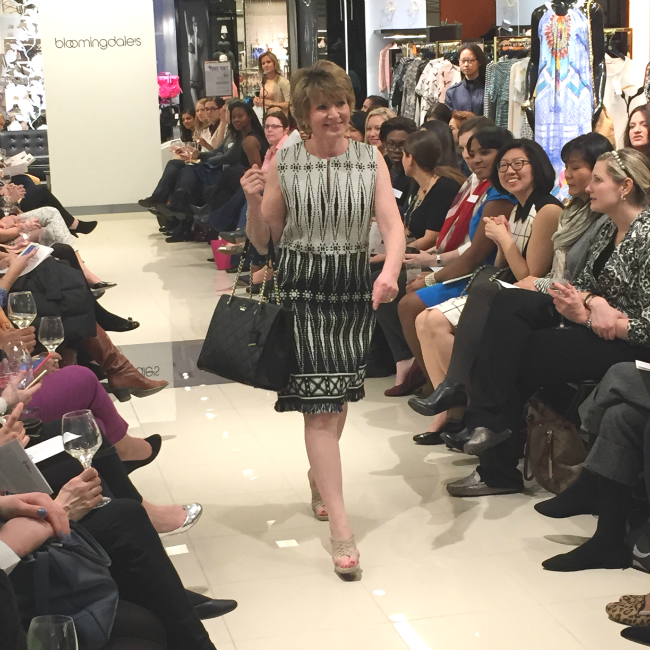 I was extremely excited and honored to be selected by the Junior League of Washington, D.C. to help style their spring fashion show at Bloomingdale's! I had the pleasure of working with the Junior League's secretary, Ms. Catherine. She was such a joy to work with, and regardless of age we realized that we had very similar tastes in style. So it was the perfect match! For my two looks in the show, I wanted to focus on showcasing a few spring trends while maintaining the easy and feminine vibes that I usually go for with my own style. I always search for statement pieces, that are versatile and good investments. Meaning, I look for pieces that could work for more than one season and items that can be mixed and matched with things I already own. Especially if I'm going to splurge for a high end brand I want to make sure the item is very versatile. When I first walked into Bloomingdale's, this gorgeous Tory Burch dress caught my eye immediately. Not only is it on trend with the fringe, but it is the perfect transition dress for the current weather. The fabric is heavier, so the dress will work well in the early spring and well into fall. The dress can stand alone or be paired with a cardigan or blazer for the office. I think it's the perfect dress for a bridal shower, luncheon or a more casual office environment. I paired this dress with another versatile piece. A Kate Spade NY bag, that's perfect for work. Since Catherine is petite, I didn't want an oversized tote for her. If you're petite, try going with a smaller purse or clutch. When I think of a classic brand, for any age, my instincts go directly to DVF. I mean the brand is timeless and I feel like she can do no wrong. 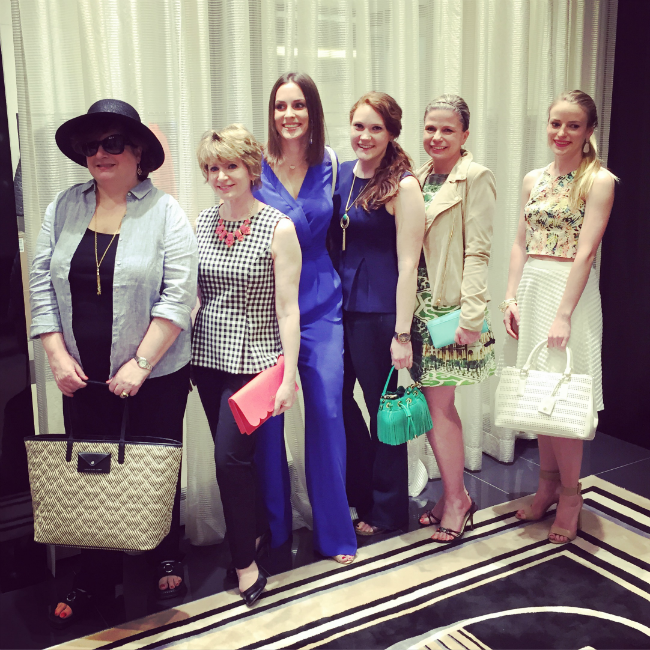 The spring DVF collection definitely doesn't disappoint. 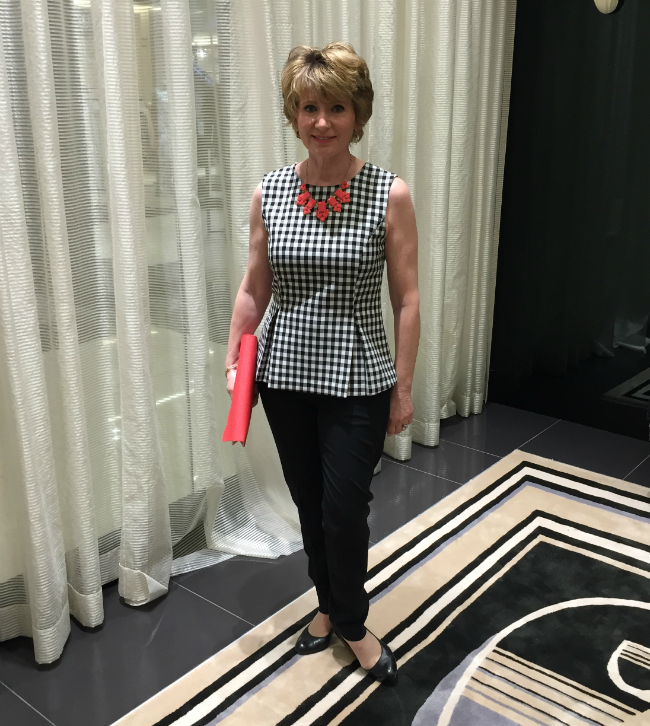 One of my favorite pieces was this gingham peplum top. I could see this top being paired countless ways and being worn by all ages. For spring I paired this top with a classic black trouser and black heels for an office appropriate look. I added color with this gorgeous Kate Spade NY scalloped clutch and necklace. The colors were identical and really popped off the gingham. I had an absolute blast picking these two looks for last night's show. Loving some of these pieces as well? You're in luck! 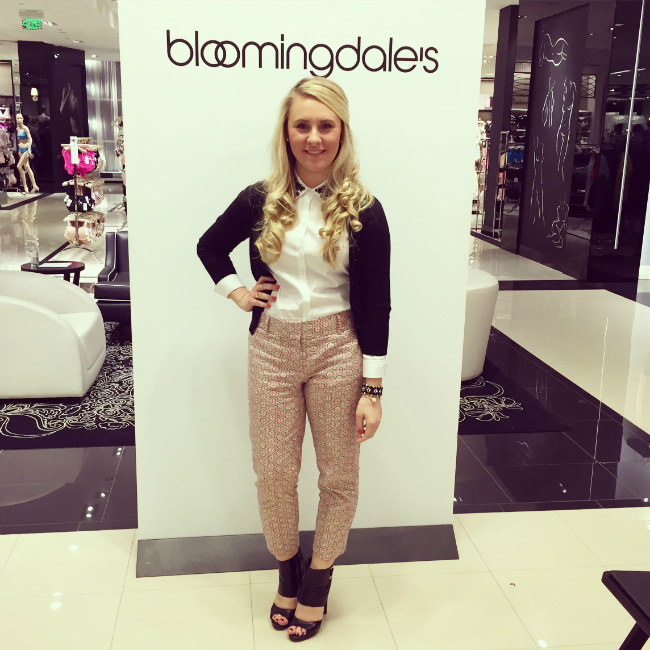 Bloomingdale's is having their Friends & Family sale going on now, through this Sunday. Get 25% off pretty much anything in the store, including most of the pieces featured here! These truly are versatile and great investment pieces. Let me know how you style them! I love your outfit in the last photo!! Especially the black sandals... very chic! Thanks Amber!! They're from Nine West! Looks like so much fun! I love your outfit and the two you styled! Proud of ya! I love your outfit in that last picture! I never would have thought to pair those pieces together, but they're actually perfect. And Ms. Catherine looks beautiful!